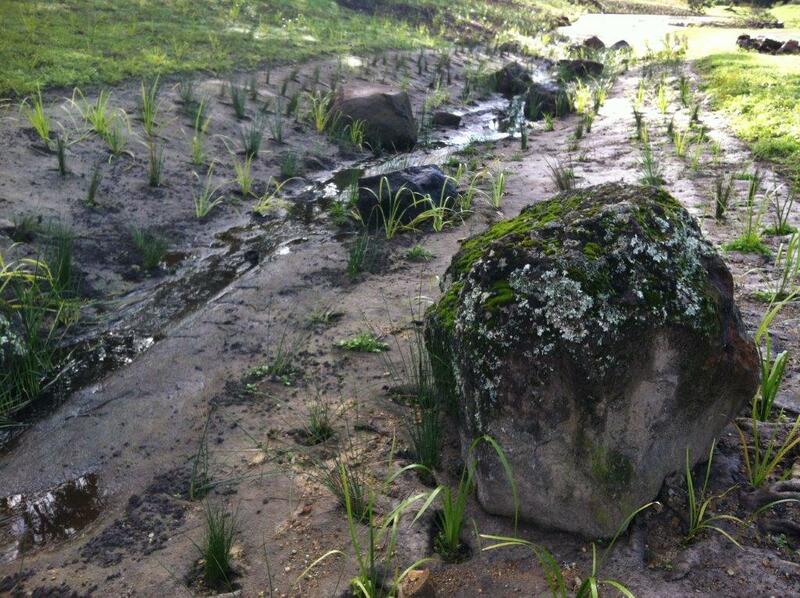 Waterways are dynamic systems that are subjected to continual change (such as flooding events). 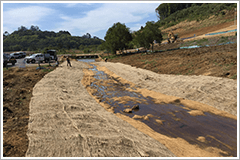 The functional design of natural riparian corridors play an important role in the mitigation of floods, filtering land based contaminants, water quality and providing habitat for terrestrial and aquatic vertebrate. 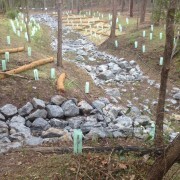 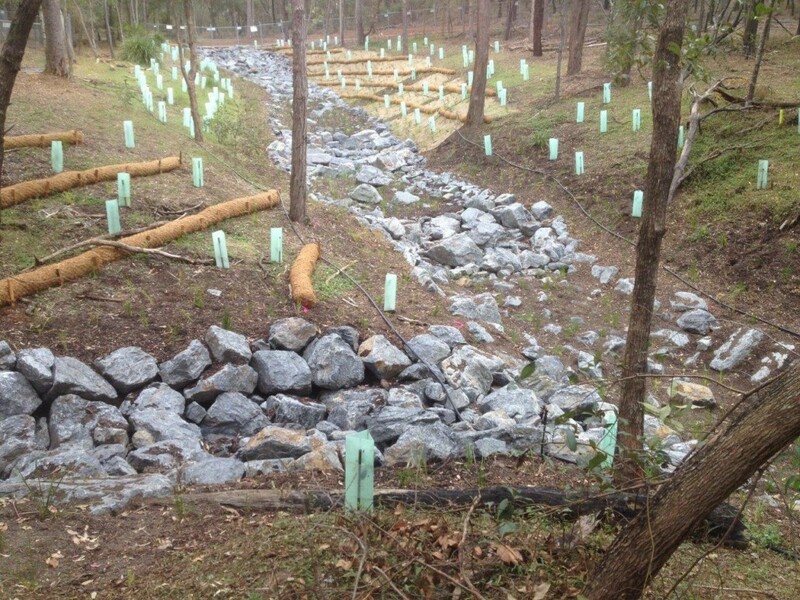 The responsible management of stormwater catchment runoff and the networks that enter these waterways is an important function that regulators and the community are influencing through new design (WSUDs) and education. 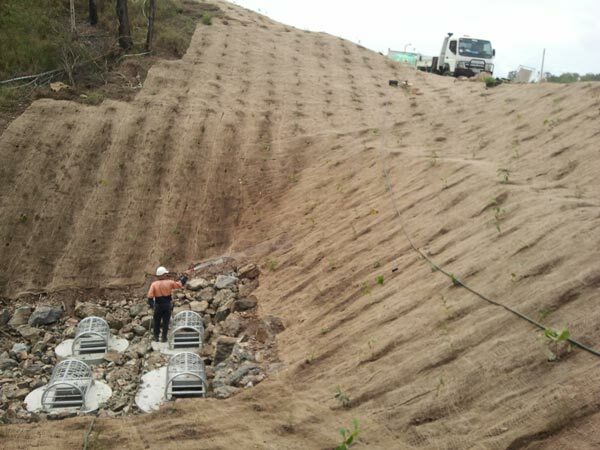 It is also common that gullies and low lying areas that facilitate these catchment flows, pass through areas also managed for nature conservation purposes. 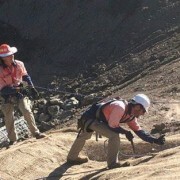 These projects typically require a higher level of care and logistics planning together with environmental permits. 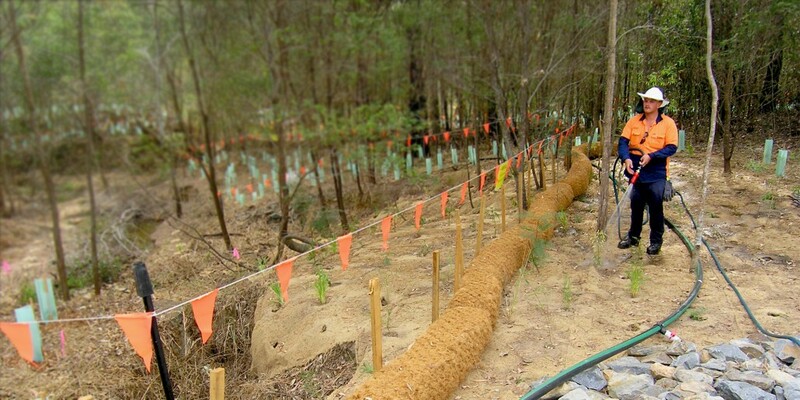 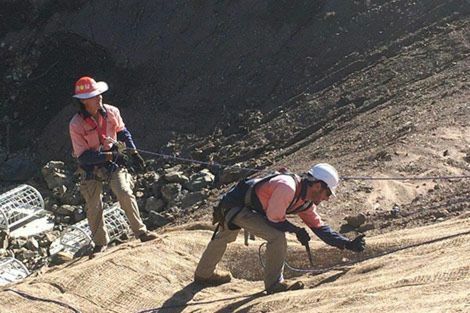 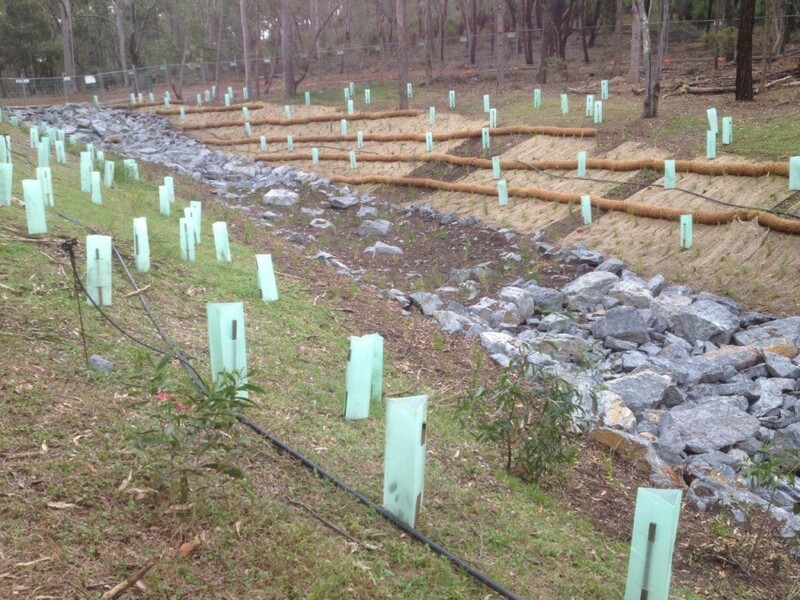 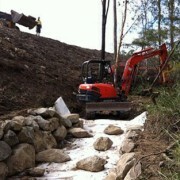 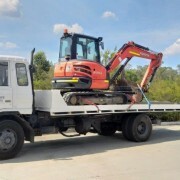 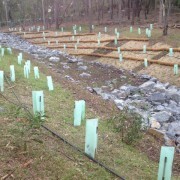 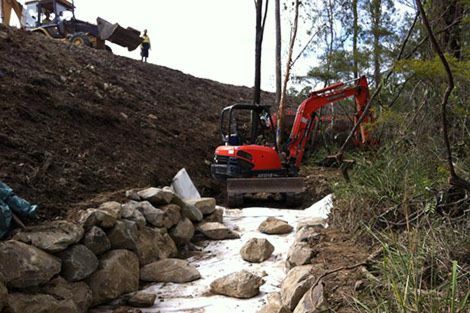 The Bushcare Services construction division has delivered many successful projects involving the reconstruction of semi-natural stormwater assets and detention basins in sensitive bushland reserves. 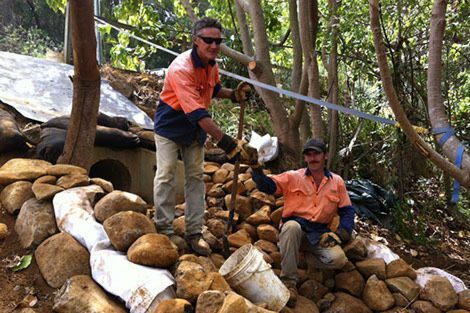 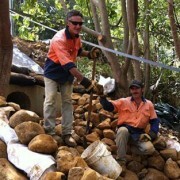 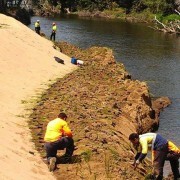 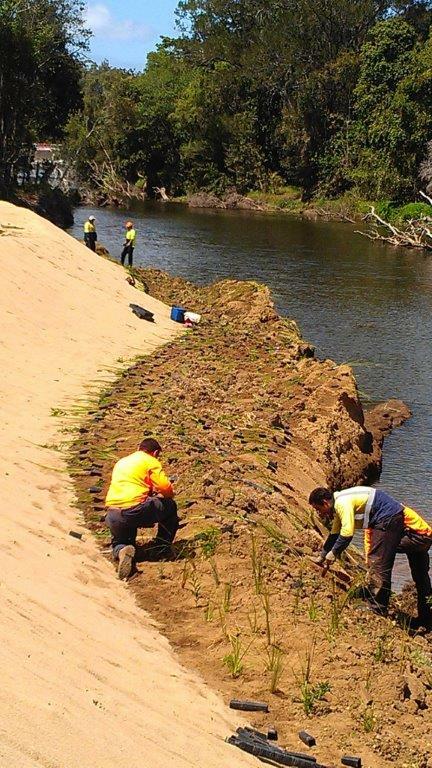 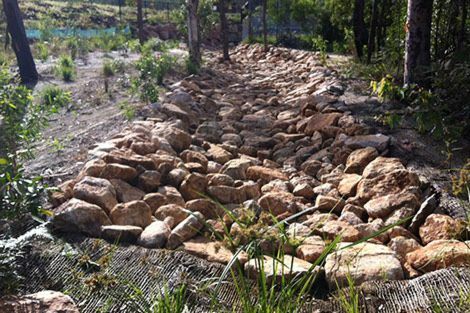 Bushcare Services has substantial experience in stabilising and re-establishing vegetation along waterways with the use of erosion control systems. 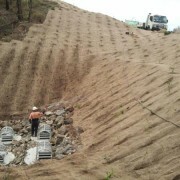 Reconstructing and rock armouring of high flow zones. 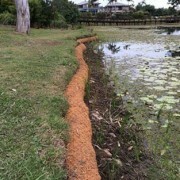 Installing jute products such as a jute mat, jute mesh, coir tech mat, coir fibre logs and brush matting. 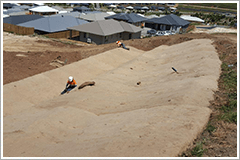 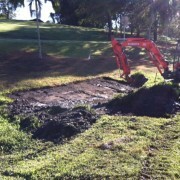 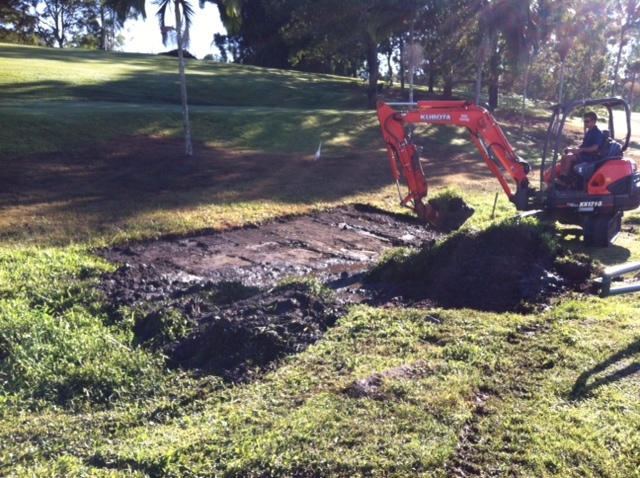 Managing existing vegetation assets during construction – barricading, root protection. 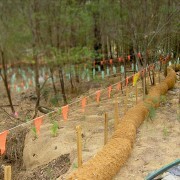 Growing and planting long stem natives to provide rapid root establishment in bank. 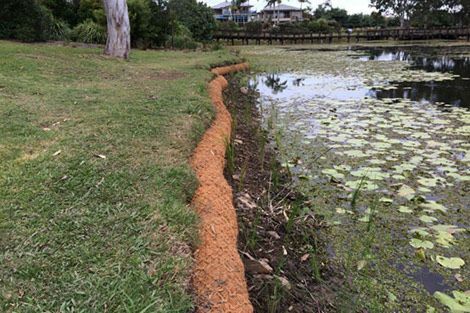 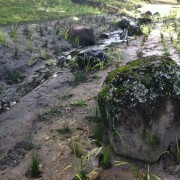 Programmed maintenance of Typha and other spreading wetland plants around stormwater assets. 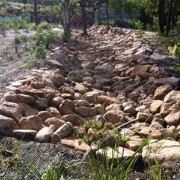 Mangrove and saltmarsh rehabilitation, transplants and permit work.